1. In a medium sized bowl, mix together the sugar, brown sugar and cinnamon with a fork until evenly blended. 2. In another medium-sized glass bowl, melt the butter. 3. Remove cinnamon rolls and icing from the package. Set icing aside. 4. Take each cinnamon roll, stretch it out using your fingers until it becomes flat like a pancake then dip it in melted butter until thoroughly coated. Then dip in the sugar and cinnamon mixture, coating completely. 5. Place the coated cinnamon rolls into the loaf pan, loosely alternating from side to side. It will start to look a bit like a braid. See photos for reference. 6. Once you've placed all the coated rolls into the loaf pan, it should be mostly full. Keep in mind the rolls will expand once it cooks. Sprinkle pecans on top of your loaf if desired and then you're ready to bake! 7. Bake at 350˚ for 20-25 minutes or until golden brown on top. Remove from oven and let cool for 5 minutes. 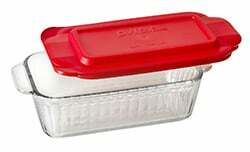 Top with both containers of icing and enjoy! You are going to love this easy cinnamon pull apart bread. It’s simple to make and you can make it ahead. The super secret shortcut? Start with cinnamon rolls. 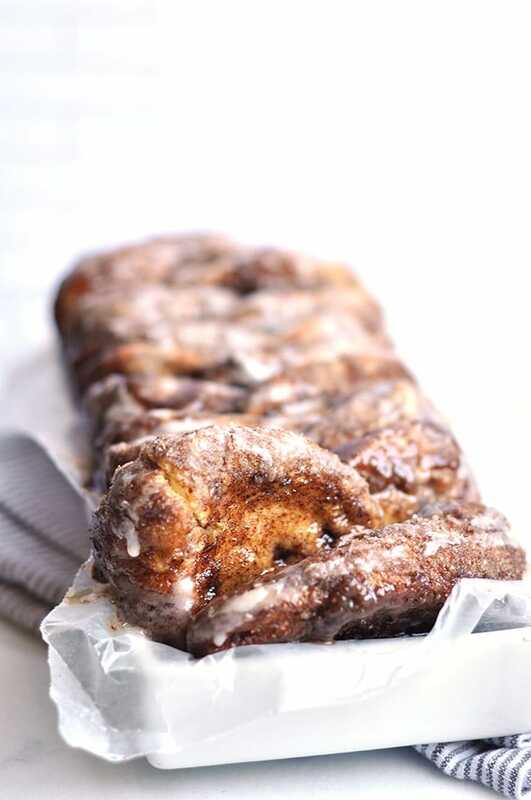 Imagine warm, gooey, fresh-baked cinnamon bread drizzled with icing. Now imagine not having to make dough, let it rise, or roll it out. Do you like where this is headed? Let’s take this one step further and talk about the loaves of artisan bread you and I admire at Panera or the local farmer’s market. I love the texture and look of bread that is more than just a big honkin’ loaf. I appreciate a dusting of flour, the slits that have baked open to perfection or when the dough is braided or formed into some other fun shape. Those little details make me excited, but the thought of putting in the time to create those details myself can get overwhelming. Especially since when I do most of my “fancy” cooking, it’s around the holidays or it’s for a birthday party and my stress level is already a little higher that it needs to be. This is why I like a good shortcut. 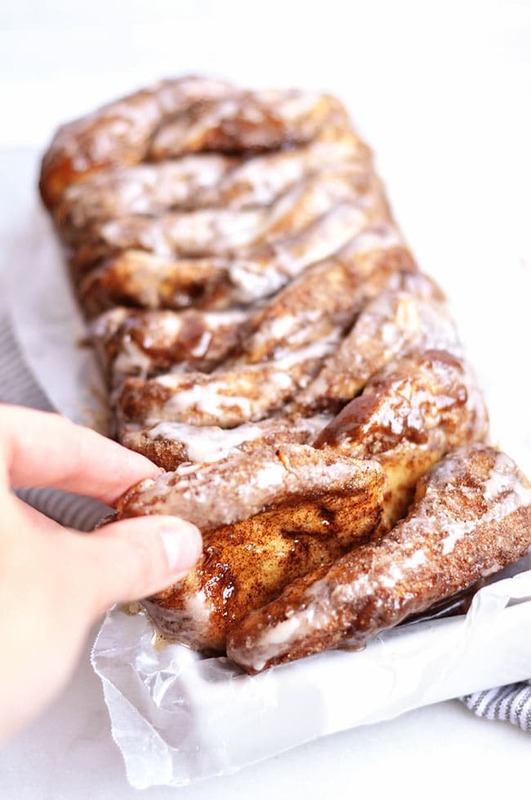 What do you need to make this cinnamon pull apart bread? So, here’s the deal. All you need is about 10 minutes of prep time, a loaf pan, a fair amount of butter and a little know-how to get a great looking pull-apart loaf. I use Pillsbury flaky Cinnamon rolls as a starting point. I love this pull apart bread for a lot of reason but mostly because you get the Pillsbury cinnamon roll flavor you love but without all the dry edges. Raise your hand if you only really and truly enjoy the middle of the cinnamon rolls. Thought so. So, yeah. This cinnamon bread is basically like the center of the cinnamon rolls but ALL OVER. Am I your new best friend or what? Are you a cinnamon lover? Do you love cinnamon everything? 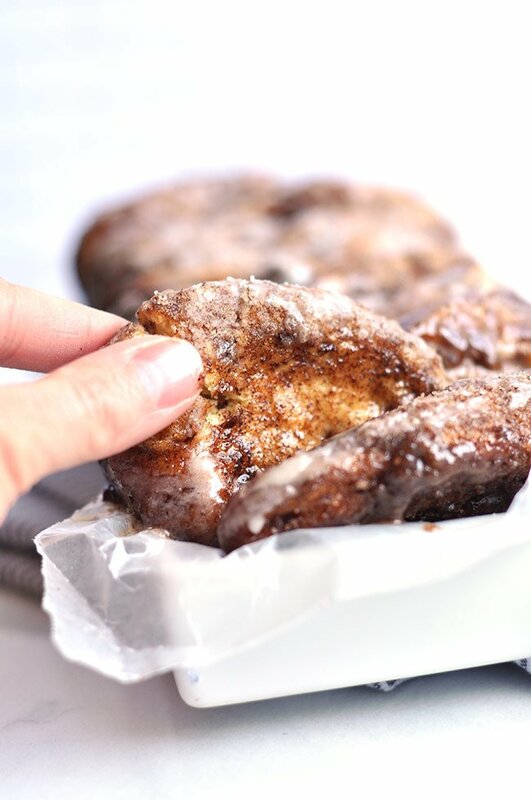 Then you might want to also check out my cinnamon baked french toast recipe. It’s a little quicker to make and has a similar flavor to this pull apart bread but a little more french toast like vs. a bread. 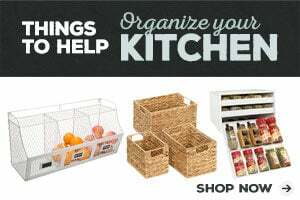 You can also make it ahead so it’s great for holiday breakfast. This easy cinnamon pull apart bread using Pillsbury cinnamon rolls was featured on Sew It Craft It Cook It! The picture shows at least 2 cans of the refrigerated cinnamon rolls in the loaf pan as there is only 5 in each can including the container of icing. It also took longer than 20 minutes to cook them all the way through in the middle. Maybe I’m missed something in the directions? You’re right. It should have stated two containers of 8-count rolls which are the smaller ones. I’m so sorry! If you used the larger rolls that’s probably why it took longer to cook. Thank you so much for letting me know, I’ve updated the recipe to be clear about how many cinnamon rolls you need to start with.